Our buses and our tram are all yours! Keep a memory of Lyon! Are you looking for a group visit to Lyon for your association or for a school trip? 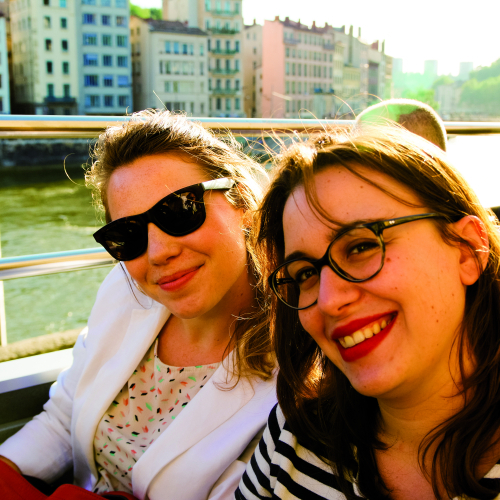 Lyon City Tour offers you a visit of Lyon aboard a double-decker bus with the Lyon City Bus to discover the emblematic places of the city. We also offer you the opportunity to go back in time and visit the streets of the Croix-Rousse district in order to understand its history with the Lyon City Tram! Lyon City Tour will allow you to enjoy an unusual visit with an incredible panoramic view. We will do everything to make your event unforgettable. 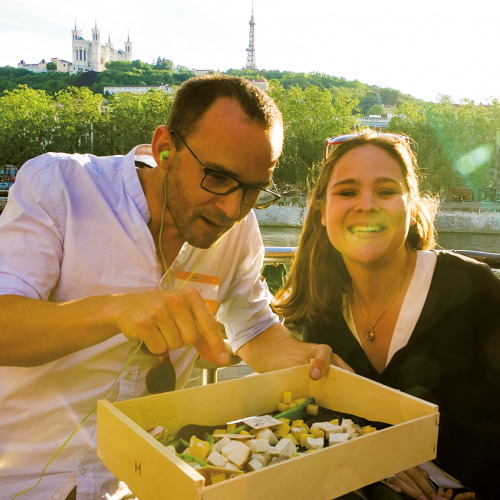 Lyon City Tour team offers you a personalized tour by choosing the places you want to visit. Do not wait any longer, all pretexts are good to privatize the imperial! Surprise your guests by privatizing our double-decker bus for your family events: birthday, wedding, family reunions. Depending on the season, you can decorate your walk with a cocktail party, a glass of champagne, a gourmet coffee or a glass of wine. You organize a seminar in Lyon? Do you receive foreign collaborators? Replace classic transfers with a moment of exchange and conviviality aboard a double-decker bus and offer to your teams a mobile and atypical reception in order to meet and exchange in an extra-professional setting. As part of this contact, I agree to the collection and recording of the data provided.